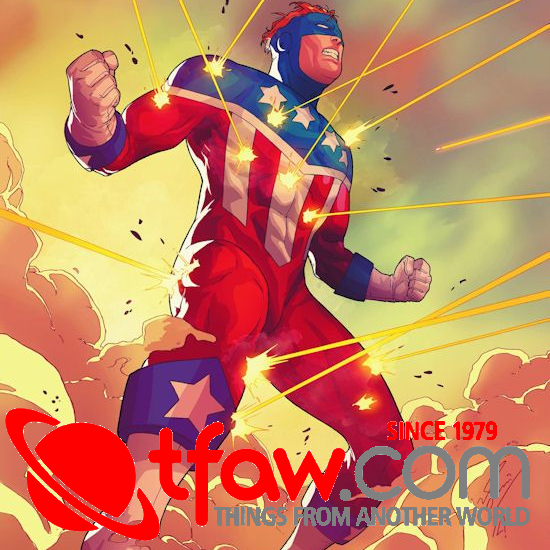 SBI Press, the company that brought you Trent, Crawling King, Hellicious, Oddwell, and so much more in 2018 announces their offering for Free Comic Book Day 2019 with the next installment of Starburns Presents. 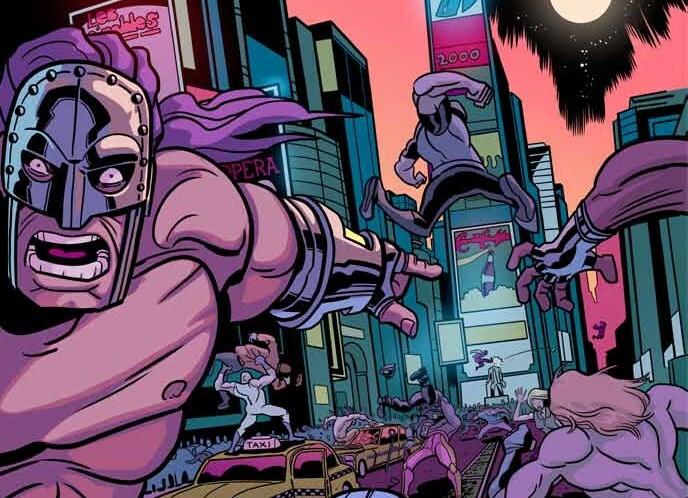 This year’s edition will include special previews of Invasion From Planet Wrestletopia, Nasquatch,”Hellicious Presents: Pick Your Perdition, Gryffen, B-Squad, and A Whole New Set of Problems by 30 Rock‘s Josh Fadem! 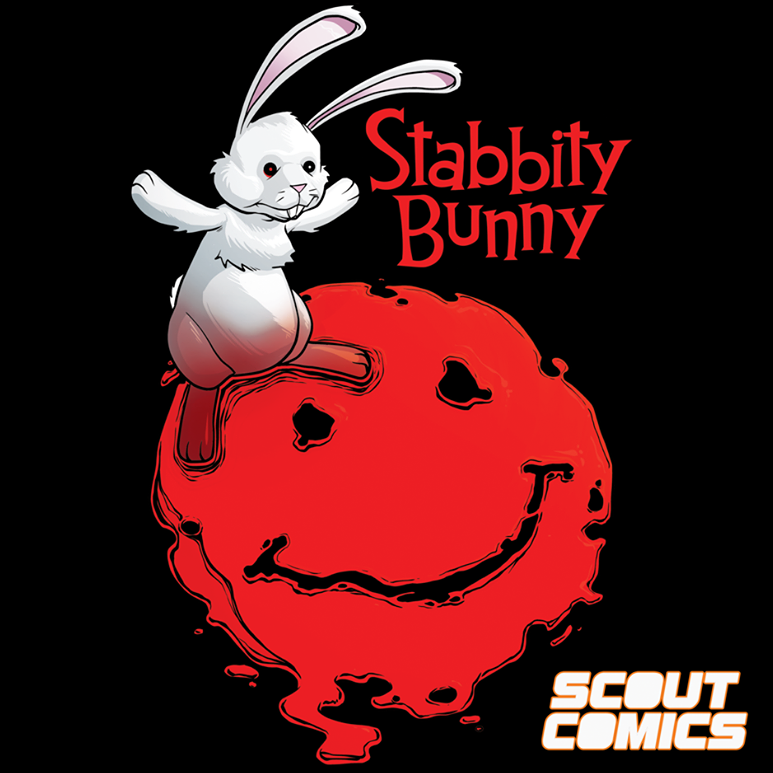 SBI Press will publish the no-holds-barred, action-comedy sci-fi series from writers Matt Entin and Ed Kuehnel (Valiant Hearts, Mario + Rabbids Kingdom Battle, Lumberjack Man), artist Dan Schkade (Will Eisner’s The Spirit, Battlestar Galactica: Gods & Monsters), colorist Marissa Louise (Spell on Wheels, Mystery Girl) and letterer Dave Lanphear (Shirtless Bear-Fighter, Quantum & Woody). 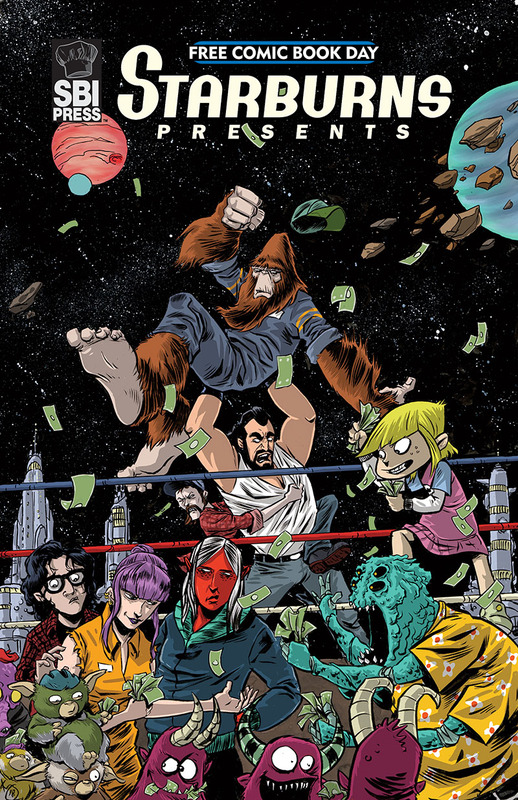 Inspired by the colorful days of 1980s pro-wrestling, the six-issue mini-series kicks off when disgruntled professional wrestler “Rock ‘n Roll” Rory Landell declares himself “galactic champion of the universe”, which a hostile planet of wrestling aliens takes as a declaration of war from Planet Earth. 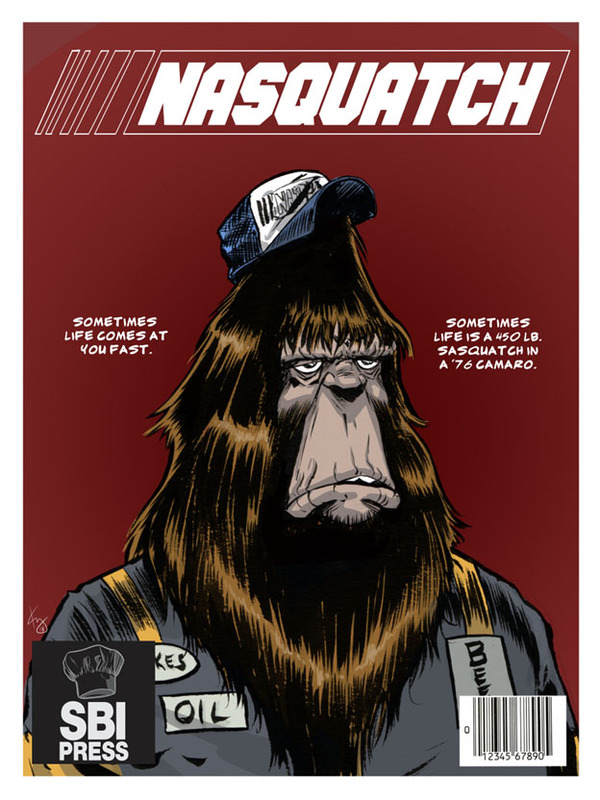 Art by Kelly WilliamsNasquatch is the story of Nas and Denny, two disparate souls brought together by racing, cars, and a love of the outdoors. Also, Nas is a sasquatch who is an unbelievable driver and Denny lives in a trailer park and just wants a better life. Art by Michael CaleroFollowing the missions of a squad of misfit mercenaries that range from pop-culture riffs to cut from whole cloth oddity — the expendable mercs just never seem to catch a break and face the Thanksgiving leftovers of upper-tier mercenary groups. The debut effort revisits Burgoon’s story made with artist Lauren Monardo which was originally released in early 2013. “Conspiracy in Cambodia” sees B-Squad head to Cambodia as they are tasked with protecting free-range cadre of “mugwai” from a group of radicalized hipsters poaching the furry critters for unknown gain. 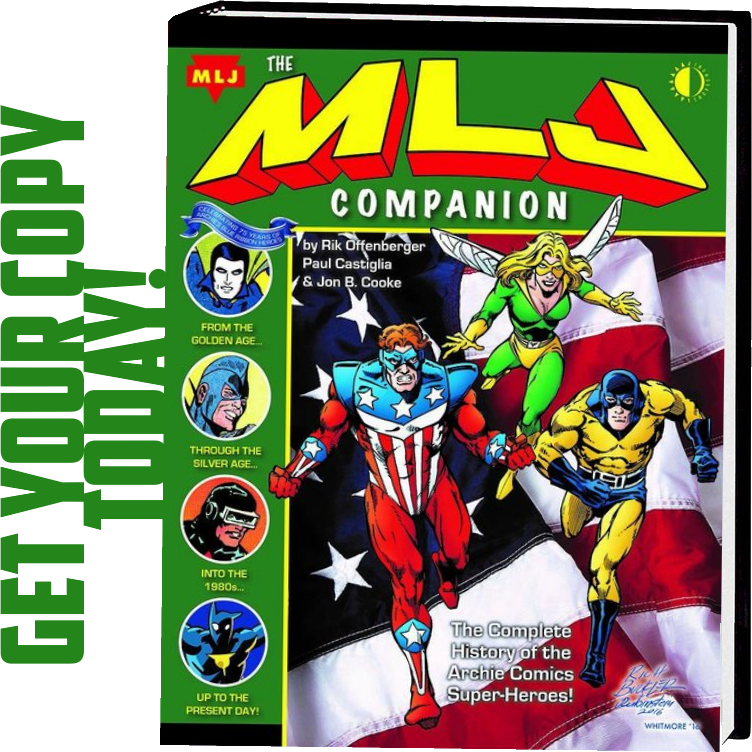 Each “mission” of B-Squad will be released in a giant-size format and feature a Saturday Morning Cereal style collection of “tangent comics” including Burgoon’s newest series “Tiny Wizards” and Michael Calero’s “Monster Safari” as well as expansive activities, games, and magazine content that will remind people of dentist-office staples like Highlights magazine and ZooBooks. 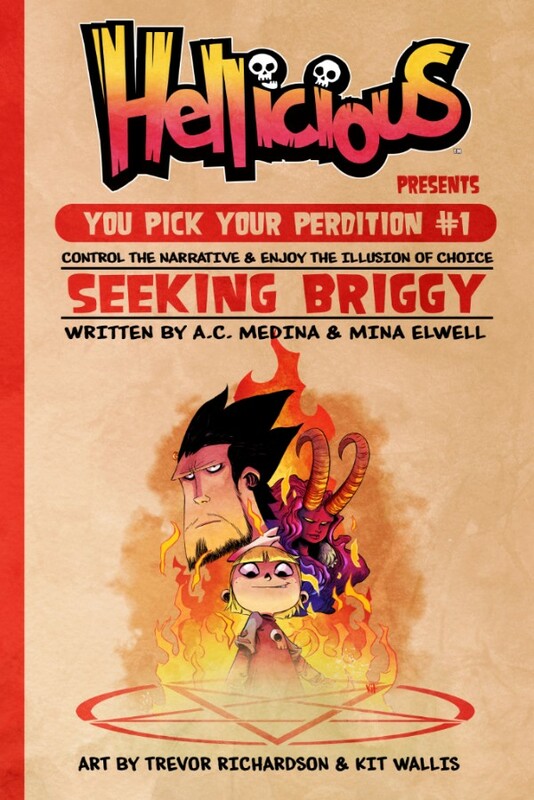 Art by Kit Wallis and Trevor RichardsonContinuing Hellicious with its first spin off book, Pick Your Perdition #1: Seeking Briggy, will be an interactive comic set in the world of Hellicious. Following the untimely demise of goth rocker, Briggy Bundy, his surviving band has been left with a great big iconic lead singer-sized hole in their lives which they desperately need to fill. You, the reader, will become the new frontman of Briggy Bundy’s band, but the fans aren’t interested in change and will only accept the original Briggy. To succeed, you will need the help of Briggy himself and all the supernatural powers to intercede on your behalf. 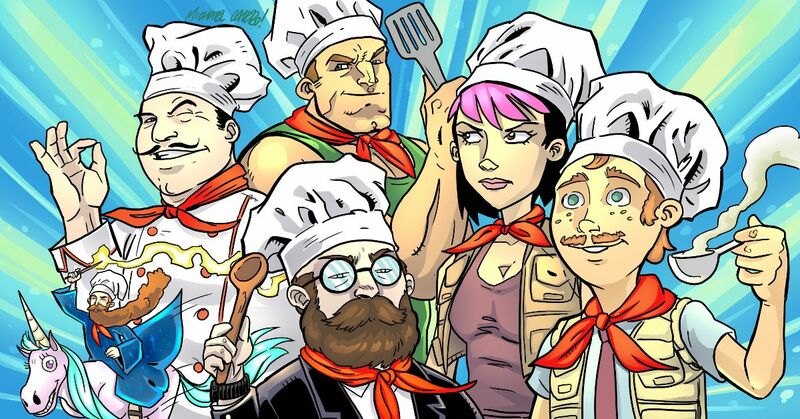 FCBD 2019’s edition of “Starburns Presents” will also feature an excerpt of the upcoming digital first series, Gryffen, written by Ben Kahn and illustrated by Bruno Hidalgo, of Heavenly Blues fame and Josh Fadem of 30 Rock will present a sneak peek of his book A Whole New Set of Problems. Fadem’s book will be a collection of humor shorts in the style of Shel Silverstein, but more in line with the offbeat humor of Starburns Industries Press. In Gryffen, humanity has taken to the stars, and crushed it in an iron fist. The most powerful and tyrannical faction of humans call themselves the Sovereign Reach. But one captain has had enough, and they’re willing to burn down the universe to destroy their own kind. Cpt. Lyla Gryffen, driven insane and branded a traitor, recruits a crew of mad scientists and rogue officers to steal a ship and achieve their singular philosophy: introduce rapid, unchecked technological progress with the explicit aim of destabilizing the entire galactic society. Chasing Gryffen is Admiral Rosalind Hunter, a ruthless soldier who will protect the Reach’s stability at any cost. It’s a race to the edge of the universe as these iron wills clash. 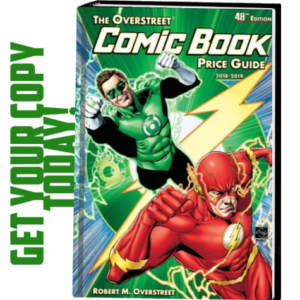 Check out Free Comic Book Day 2019’s Starburns Presents this May to get a preview of all the exciting things coming up for SBI Press!